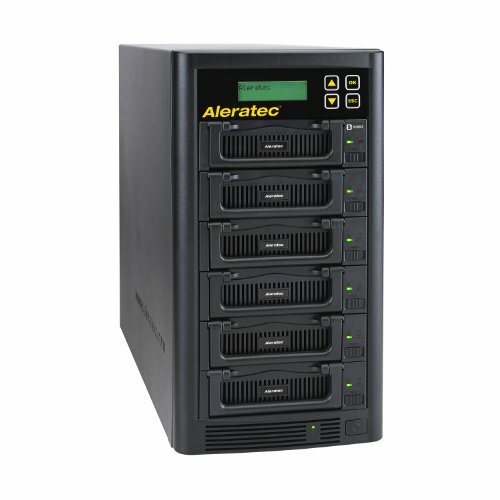 The Aleratec 1:5 HDD Copy Cruiser IDE/SATA High-Speed is an industrial-strength, standalone hard disk drive duplicator that can create up to 5 clone hard disk drives simultaneously at speeds up to a blazing 120MB/s. It can also securely wipe all the data from up to 6 hard disk drives at a time with Secure Erase or your choice of 3 comprehensive sanitization algorithms: a 1-pass wipe, a 3-pass wipe with verify, or a powerful DoD 5220.22-M 7-pass wipe. In fact, a leading provider of data recovery services has independently verified that the data on hard drives wiped by the 7-pass overwrite sanitization feature on this unit have been "permanently destroyed" and meet the criteria of NIST (National Institute of Standards and Technology) 800-88. Secure Erase and Overwrite Sanitization Responsible organizations and individuals understand that the sensitive, private data on their disposed or redeployed hard disk drives are vulnerable if those drives are not properly sanitized. The 1:5 HDD Copy Cruiser IDE/SATA High-Speed these efforts by offering independently verified overwrite sanitization, as well as Secure Erase. Secure Erase is a National Institute of Standards and Technology 800-88 accepted technique for properly purging hard drives. This method is supported by almost all modern SATA hard disk drives. Duplication The 1:5 HDD Copy Cruiser IDE/SATA High-Speed performs a sector-by-sector copy from a single source hard disk to up to five target drives, regardless of brand, operating system or format of the drives. The copy includes partition and boot sector information for a perfect clone.